If you have ever been to far north or south regions, you might have been fortunate enough to witness one of our planet’s great natural displays. Occurring semiannually at very high latitudes, though often spreading to lower latitudes depending upon the forces at hand, are the magnificent auroras. Not only are the auroras a wondrous spectacle consisting of various colors of mixing light, but they are also scientific phenomena that holds great significance in many cultures. Auroras generally occur very close to the poles due to the high level of magnetism there. Two interconnected auroras exist, one in the north and the other in the south. 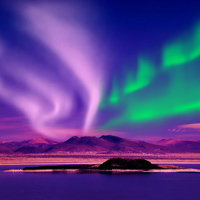 They both retain the name ‘Aurora’ from the ancient Greek goddess of light and daybreak, though the northern lights are referred to as ‘Aurora Borealis,’ stemming from the Greek word ‘Boreas,’ meaning north wind, whereas the southern lights are referred to as ‘Aurora Australis’ from the largest country in which these southern lights can be seen. Generally speaking, Aurora Australis is the effect of Aurora Borealis, and changes correspondingly. 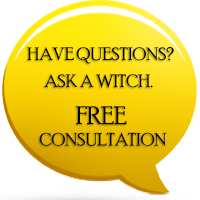 The auroras usually occur around the Wiccan Sabbats of Ostara and Mabon, or the Spring Equinox (around March 21st) and the Autumn Equinox (around September 21st), respectively. The reason for this remains a mystery as Earth’s magnetic polarity does not change with the seasons. Additionally, a great deal has yet to be developed upon the idea of why the auroras are visible from even temperate regions at certain points while it can barely be detected at others. Nonetheless, for he or she who covets science, there is a great deal of it lying behind the auroras. Not only does the sun give us light and heat, but our planet’s atmosphere is regularly being assailed with solar winds. In essence, solar winds are composed of plasma, or pure electrons and positive ions. When the plasma interacts with Earth’s magnetosphere, the gases of the atmosphere are radically changed. Photons are released as the Oxygen and Nitrogen of the magnetosphere absorb the new energy given by the solar winds. Depending upon the specific interaction between the different gases, a unique color is emitted. Auroras are not unique to Earth. A similar interaction occurs on other planets which creates a similar appearance. Concerning this planet’s auroras, the greatest known occurred twice in 1859, where a drastic shift occurred in the electromagnetic field. Even so, they have been occurring since Earth’s formation. We know that the northern lights extended into Italy and Greece various times as Seneca reflects upon the spectacle in Ostia like Aristotle before him. The soldiers in the American Civil War witnessed a great aurora as dusk approached after the Battle of Fredericksburg, only three years after the great magnetic storm of 1859. Norse Mythology references the northern lights only several times as the poles were at different points at this time, farther from Norway. 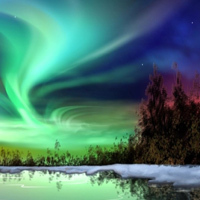 Many believed that the auroras were lights coming from Valkyries’ armor. Others believed that it was a fluorescence originating from glaciers with excess energy. What do you believe? Have you ever seen an aurora?